The written word and the world of numbers should not be kept apart. It’s possible to be a lover of both. Through the union of writing and math there is so much to learn about the books we love and the writers we admire. And by looking at the patterns, we can appreciate that beautiful moment where the pattern breaks, and where a brilliant new idea bursts into the world. Anyone who reads that paragraph and knows anything about me will understand that I loved this book. It’s a big data approach to literature, a statistical look at good books. Seriously, what the author did here was take a huge amount of digitized texts from the classics (award-winning books or books on “best” lists) and from bestsellers and (for comparison) from fan fiction. Then he ran the numbers, asking a wide variety of questions. And discovered some fascinating things. Do great writers actually use fewer -ly adverbs? Can you tell the difference between books written by women and books written by men simply by the words used? Can you figure out who really wrote a book, the big-name author or the coauthor? Do people follow their own advice (such as leaving out exclamation points and getting rid of “very”)? Are bestsellers getting dumber? Do Americans write “louder” fiction than British writers? Who uses the most cliches? 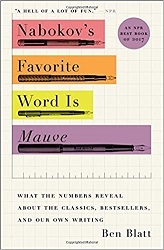 And the one hinted at in the title: What are a writer’s favorite words? You can probably learn something about what makes good writing from these insights, but mostly they’re just a lot of fun to think about. Who knew, for example, that Danielle Steel has begun 46% of her books with a sentence that refers to the weather? Or that Neil Gaiman’s favorite word is “unimpressed”? But that wouldn’wwwt have made as good a title. Alfred A. Knopf, New York, 2013. 326 pages. Maeve Binchy died in July 2012, shortly after finishing this book. I’m so glad to read it, but so sorry to know it’s the last. Like all her books, A Week in Winter is a warm and cozy read that looks right into people’s hearts and lets us see intertwined lives touching one another. A Week in Winter doesn’t have the punch of some of Maeve Binchy’s books, but it’s a warm and friendly way to say farewell. 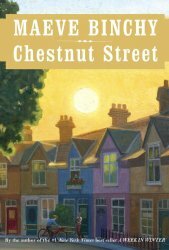 The book starts with Chicky who grew up in Stoneybridge, on the Irish coast, and ran off to America with a boy who came for the summer. She wrote home week after week and believed in the fairy tale more and more. She started to fill a spiral notebook with details of the life she was meant to be living. She didn’t want to slip up on anything. To console herself, she wrote to them about the wedding. She and Walter had been married in a quiet civil ceremony, she explained. They had a blessing from a Franciscan priest. It had been a wonderful occasion for them, and they knew that both families were delighted that they had made this commitment. Chicky said that Walter’s parents had been abroad at the time and not able to attend the ceremony but that everyone was happy about it. In many ways, she managed to believe this was true. It was easier than believing that Walter was becoming restless and was going to move on. Chicky does quite well, even after Walter leaves her. When her nieces talk about coming to visit, the kind husband of her letters suffers a tragic accident. And then, after some time, she goes back to Stoneybridge and purchases the Stone House on the water, using a “legacy” that is really her own hard-earned savings. She works with the last remaining Miss Sheedy (of the three sisters who had owned the house) to make it into a hotel. Next, we take a look at Rigger, the son of one of Chicky’s friends. He gets into trouble, and needs to leave Dublin for awhile. He comes to work for Chicky, and meets a girl and starts settling down. Then there’s Orla, Chicky’s niece, wanting some change after her best friend in Dublin gets married. She comes to work for Chicky, only for a year. And then we start looking at the guests who come for opening week at Stone House. Winnie thinks she’ll book a vacation with the man she loves — and ends up taking it with the mother who has him under her thumb. There are people from all over the world — a Hollywood movie star, a Swede who’s meant to take over his father’s business but is interested in music, a husband and wife who are both doctors, and more. With each person who comes to visit, we get to look at their life leading up to this momentous week, as well as at how the week changes them. The story is gentle and cozy. No big earth-shaking moments, but lots of rejuvenating ones and life-changing ones for the guests involved. One guest does manage to shake off the charm of the place, but most will leave the better for their vacation. And the reader is the better for the vacation, too. I’m so sad this is Maeve Binchy’s last book. She knew how to show her readers what’s really important. Bloomsbury, New York, 2009. 339 pages. 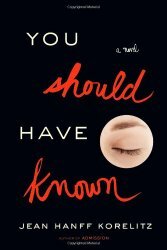 This is the one book by Shannon Hale that I don’t own, and that I didn’t read as soon as it came out. Why? Well, I knew it’s about a Mormon housewife who becomes good friends with a heart throb actor. I’ve always believed that men and women can be friends without hurting their marriages. But when this came out, I had just been burned. My own marriage had imploded. My husband claimed he was friends with a young female co-worker, and it turned out that was just a cover for something else, and our marriage didn’t survive. But this book is not a treatise on marriage and friendship. If you want that, I highly recommend NOT “Just Friends,” by Shirley Glass. (A nice rule of thumb: Where are the windows and the walls? If the walls are around the marriage and the windows around the friendship, good. You should be able to talk with your spouse about the friendship, rather than the other way around.) This book is a story. It’s a story of a good friendship, but most of all, it’s a story about a great marriage. Now, it’s not easy on the marriage for Becky Jack to be great friends with a handsome actor. She wrestles with what’s right. Her husband wrestles with what’s right. She even talks with her bishop about it. But let me say it again: This is a great story! These people seem real and alive and this is about a funny, poignant, and difficult situation and how it affects two families and the people around them. As a matter of fact, I hadn’t decided which book I was going to read next when I checked it out. I brought several candidates upstairs, and thought I’d just read a few pages to decide if I wanted to read this next. . . and ended up finishing the book at 5:30 am the following morning. This was NOT what I had planned. It wasn’t remotely a good idea. But wow! What a good story! 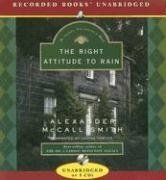 Becky and Felix Callahan meet, by a fluke, when she is in Hollywood, looking over a contract for a screenplay she’s sold to his producer. She is hugely pregnant and not at her best. Then they end up being at the same hotel. They share a ride, have dinner. One thing leads to another, and they become friends. The book is about a long and wonderful friendship. It covers a span of many years, with high points, hilarious moments, awkward times, and big setbacks. In the long run, the book is even more about Becky’s marriage. Becky thinks a lot about how she can be friends with this Hollywood star, yet still be fully and completely in love with her husband. It works. Becky sneaked a glance at Felix before returning her gaze to the window. That whole exchange had felt as unaccountably familiar as Felix’s presence. She had an ah-ha moment as she thought, Augie Beuter! That’s who Felix reminded her of — well, actually, the two men looked and acted about as much alike as Margaret Thatcher and Cher. But the way she and Felix had followed each other’s lead, the way their conversation flowed together, tuned for an audience, that’s how she and Augie used to be. He’d been her assistant editor on the high school paper and partner in debate club. Their five-year best friendship ended when they both married other people. Augie Beuter — she hadn’t seen him since her wedding, and she still missed him. I don’t have room to insert one of the many scenes of their back-and-forth banter. You can tell they are indeed friends. Their two worlds are completely different, but their story is truly a delight. Harper Perennial, 2011. 223 pages. ACTION: Drove to old woman’s house, delivered bute paste. Pet minis. Learned their names — Molly, Netty, Sunny, and Storm. WHAT THE WIFE SAID AFTER DINNER: Whose sneakers are these on the floor? Who left the butter out? Whose books are these? Whose sweater? Whose crumbs? Can’t you clean up after yourselves? Don’t leave a wet towel on your bed. Flush the toilet. Can’t anyone flush the toilet? These papers will get ruined on the table in the kitchen. Do you want your papers ruined? WHAT I DID: Ran outside. We went and looked for trees that would be good for raising my deer stand. There’s a hill and ridge below where a stream runs through. There are game trails going down the ridge. There is already a wooden deer stand there someone put up long ago where Sam could hunt from while I hunted from my tree stand at the same time. This would be a good place for my stand. I thought I could use my stand for other things other than hunting, too. I could stand in my stand at night and call to the owls. I could stand in my stand at night and look for the bright lights in the sky, the object moving quickly back and forth, but then I remembered there was a warning that came with my stand. The warning said never to strap yourself into the harness in darkness because you may make a mistake, you may not be able to see where your leg should be going through a loop. You could be strapped into nothing. Also, you may not see a rung as you’re climbing down the stand. Your footing will have no purchase. You will fall like a shot bird from a branch, head over heels to the forest floor heavily strewn with needles of pine. Several themes develop. Those bright lights in the sky at night continue to dance around, until he’s convinced there’s a UFO overhead. He’s supposed to go see the doctor. But much worse is what happens when his son goes hunting for the first time, and the aftermath. I had planned to turn this book back in because I hadn’t started it and my pile was too big, but when I read that first page, I couldn’t resist. There’s something so inherently funny about this understated way of looking at things, and the progression of his thoughts. Is there perhaps some superiority in thinking this must be exactly how a man thinks? Perhaps. But there’s a lot of humor, too. And the story? There is one, and it’s a lovely one; a story about life and living it and enjoying every detail. Simon & Schuster, New York, July 2012. 326 pages. Gold is perfect reading for before, during, and after the Olympic games. It’s a story of a long-time rivalry between Zoe and Kate, the two best women’s cyclists in the world, good friends both on the United Kingdom team. They were first scheduled to compete against each other in the 2004 games, then in 2008, but something happened each time so only one got the Gold. Now the 2012 games are approaching, and both are at the top of their form. We learn their story as we follow the build-up to the Olympics. Their rivalry isn’t only on the track, and each have their own motivations, their own insecurities, their own inner demons. There’s also a little girl in their lives who has leukemia. They thought it was in remission, and little Sophie doesn’t want anyone to know when she’s feeling bad. But that’s not always a good idea. I laughed that Sophie is absorbed with Star Wars and uses Star Wars to fight her leukemia, because in Little Bee Chris Cleave had a child who lived in his Batman costume. Super heroes and story do have a way of helping those who are powerless feel much more powerful. She leaned her back against the wall and closed her eyes. That half a minute of talking with Ruby had wiped her out. It was good, though. Mum had seen it. Dad had seen it. That counted for an hour when they wouldn’t worry. After that she knew she would start to see the lines creeping back into their faces, and hear the sharp edge coming back into their voices, and notice the little sideways glances they shot at her while they pretended they weren’t looking. They would start to have arguments with each other, about stupid things like training hours and long-grain rice, and they wouldn’t even know why they were doing it. She would know, though. It meant that they were scared for her all over again, and she would have to do one of the things that made them forget it for another hour. If you were in the car, you could kick the back of the seat. That made them annoyed, which was the opposite of scared. If you were in the house, you had more choices. You could answer back or be lippy, which made you seem less ill. You could do a drawing. You could hurry up the stairs and make a lot of noise so they noticed you doing it, even if you had to lie down on your bed afterwards for ten minutes. You could make it look like you’d eaten all your toast, even if you had to post it down your T-shirt and flush it in the toilet later. You could play boys’ games like Star Wars that had fighting and spaceships and made you look tough, even if you weren’t tough enough to ride a bike. This book didn’t feel as momentous and weighty as Little Bee, but that’s a good thing. I’m not sure I could have handled that big an emotional punch. It was still a powerful book, and I definitely found myself thinking about it long after reading it. Gold explores motivation, competition, friendship, the search for excellence, and what makes a family. It definitely put me in the mood for the Olympic Games this year. Source: This review is based on an Advance Reading Copy I got at ALA Midwinter Meeting.